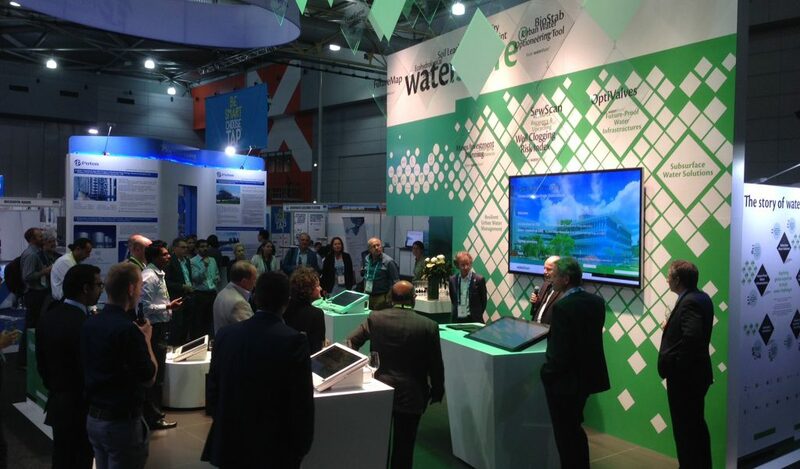 Three different workshops are dedicated to different Watershare themes. On Monday we start off with a Watershare workshop on ‘Abatement Options for Emerging Substances in the Watercycle’, organised by members of the Emerging Substances CoP (ES). At the same time, members of the Resilient Urban Water Management (RUWM) CoP are organising a workshop titled ‘Towards a Next Generation of Water Systems and Services for the Circular Economy’. On Tuesday, the Watershare workshop on ‘Subsurface Water Storage: Catalyzer of Water Reuse Worldwide’, will be held with members of the Subsurface Water Solutions (SWS) CoP. In addition, there will be a variety of presentations and posters by Watershare members, along with workshops with a connection to one of the Watershare themes. The programme below gives you a preliminary overview, which we will be continually updating on the Watershare website. Therefore please save the link to be able to access the latest version of the programme. And, most of all, please send us your inputs to the programme by sending an email to info@watershare.eu. See for the complete up-to-date conference program the congress website. Workshop Microplastics in Wastewater. Why do we care?